It’s fair to say that no-one today would use a 1940s American grain silo as an engineering and architectural inspiration for an Intermediate Level Waste (ILW) store. But that’s what happened with the Pile Fuel Cladding Silo (PFCS) at Sellafield in west Cumbria when it was designed and built just after World War 2. The PFCS was the UK’s first-ever facility for storing ILW and my team is responsible for emptying and decommissioning it. If I could go back in time and say anything to the nuclear pioneers of the 1940s and 1950s, it would be: “Make the building more robust and keep good records.” But, without the luxury of time travel, we are left with what we have, carefully managing and monitoring the facility and its contents. Getting the waste out of this old building into a safer place will significantly reduce the nuclear and environmental risk on the Sellafield site in west Cumbria. We are all agreed that the life of this facility can only be prolonged for so long, and the focus is now on getting the waste out. This means working with the nuclear regulators to understand and accept that retrieving the waste does involve an elevated state of risk - but that this is a more acceptable risk than leaving the waste in there any longer. It’s now time for safe action. 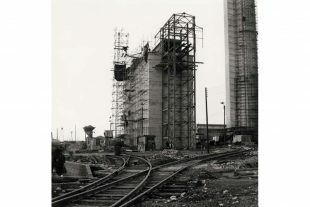 That ‘action’ involves getting the silo ready to start retrievals and installing the retrievals machinery onto the reinforced concrete ‘superstructure’ which has been custom-built right next to the silo. We’ve learned from other decommissioning programmes at Sellafield, particularly the Pile Fuel Storage Pond. Often it’s about having a productive and effective ‘decommissioning mindset’. This means that rather than plan to mitigate for every single surprise you can think of, just get on with the job as safely and as practicably as possible, dealing with challenges as they arise in our ‘lead and learn’ approach. We have worked with Government and our nuclear regulators on a revised retrievals plan which is fit-for-purpose and strips out complications. 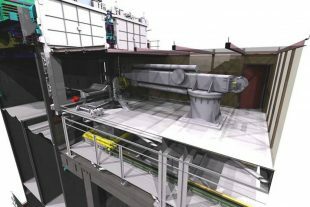 For example, the machinery being used to grab the waste out of the silo will be the same sort of extendable boom crane used to load containers on dockyards around the world rather than the original plan of a bespoke piece of equipment that resembled a huge robotic arm reaching inside. Our last business plan predicted that retrievals would start in 2022 and the overall cost of the project would be £904 million. However, the latest NDA Business Plan 2017 to 2020 (available for consultation until 3 February) brings that start forward by 2 years to 2020, reducing the costs by almost £250 million. We’ve learned from other decommissioning programmes at Sellafield, particularly the Pile Fuel Storage Pond. Often it’s about having a productive and effective ‘decommissioning mindset’. This means that rather than plan to mitigate for every single surprise you can think of, just get on with the job as safely and as practicably as possible, dealing with challenges as they arise. We are also trying to make all processes and equipment as simple as they can be. We would really like to hear from you if you have views on our work to decommission 17 nuclear sites across the UK.